PLACES ARE LIMITED – APPLY NOW! The Springboard+ initiative gives an opportunity to job seekers to access relevant courses in CIT free of charge, while maintaining their benefits. There are 279 places on 18 different courses available in CIT under this Springboard+ Initiative. These courses, designed and developed in close collaboration with our industry partners provide a dynamic pipeline of job-ready graduates, with up-to-the-minute skills and valuable qualifications for sectors of the Irish economy that are expanding and recruiting. See the Frequently Asked Questions (FAQ) section on www.springboardcourses.ie for more information on eligibility. 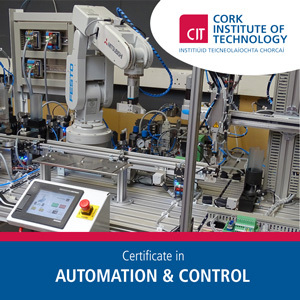 Using specialist equipment in our state of the art laboratories, the student will learn to use Programmable Logic Controllers (PLCs) and Supervisory Control and Data Acquisition (SCADA) systems and Robotics programming, all of which are the industry recognized standard for the development of effective control and Automation Systems. As a graduate you will have skills that will allow you to work with highly automated manufacturing and process systems. 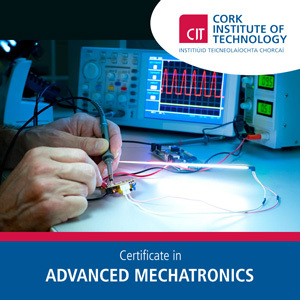 This course equips you with abilities and skills to enable you to analyse industrial applications and evaluate possible solutions in terms of automated (dedicated/flexible) or mixed manual/automated systems, design and develop embedded systems to meet predetermined specifications, and design and implement a distributed control system utilizing a range of PLCs. The ICT professional who already has an understanding of ICT principles and who now is seeking to upskill by developing Project Management Skills so that they can add more value within their organization. Individuals with a foundation in basic project management skills in diverse industries (e.g. Cross Enterprise sectors) who wish to up-skill their Project Management knowledge and learn how to apply them to the ICT Sector to improve their employability. 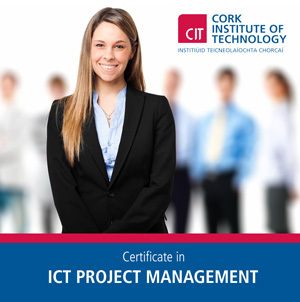 This programme provides the participant with a specific understanding of the project management function within the context of ICT organisations. 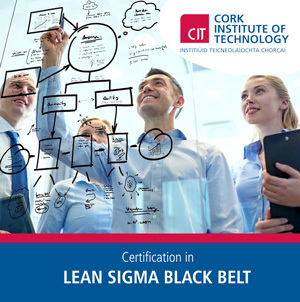 A certified Lean Sigma Black Belt is a professional who is an expert in both Lean and Six Sigma philosophies and principles, including supporting systems and tools. A Black Belt should demonstrate team leadership, understand team dynamics and assign team member roles and responsibilities. Black Belts have a thorough understanding of all aspects of the DMAIC model in accordance with Lean Sigma principles. Participants will be given grounding in both Lean and Six Sigma techniques through a balance of lectures, workshops, practical, project and assignment activities. They will develop knowledge of Lean enterprise concepts, and will be able to identify non-value added elements and activities and be able to use specific tools. The course draws heavily on statistical principles including Design of Experiments and Statistical Process Control. Lean Six Sigma is a very successful methodology for Productivity and Continuous Improvement. It uses a structured approach known as DMAIC (Define, Measure, Analyse, Improve and Control) to eliminate business process waste, reduce variation and improve efficiency. It is applicable to any business and has been successfully deployed across many sectors and in companies of all sizes. 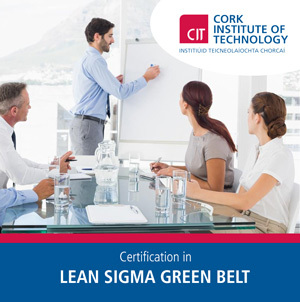 The course is aimed at providing students with a clear understanding of leading a small team in the Lean Sigma approach and the process of continuous improvement for any business process in any business area, service, processing or manufacturing.